Hinweis: Dieses Produkt wurde eingestellt 12.04.13. 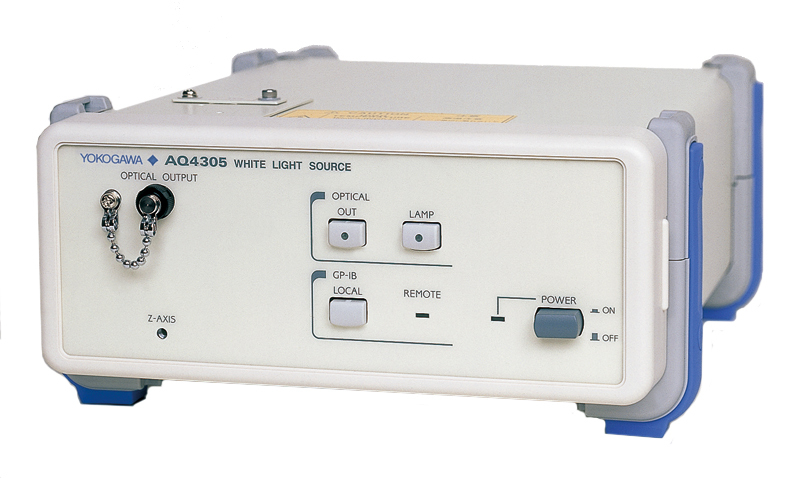 The AQ4305 white light source provides incoherent light to measure wavelength dependent loss characteristics for optical devices and optical fibers, in conjunction with an optical spectrum analyzer. 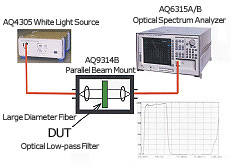 The AQ4305 higher power density (more than 5dB at 1310 nm) compared to previous model allows significantly faster sweep time of the optical spectrum analyzer. 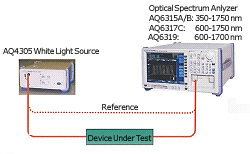 The wide wavelength range 400 to 1800 nm provides various applications from visible band to all telecomm band.